The town of Hakodate, which opened port in the Bakumatsu period, prospered mainly at the foot of Hakodate sprawling from the left as seen from the Hakodate port. Because of that, many tourist spots are along the slopes, such as the impressive western style building “Old Public Hall of Hakodate Ward” and the “Motomachi Church Assembly” where churches of various religions are all lined up. 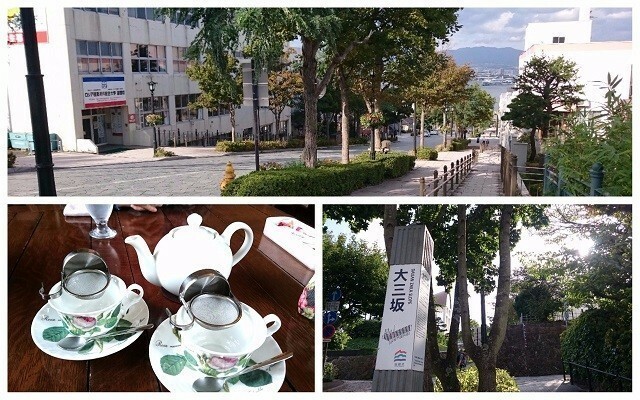 Though Hakodate tourism might have been enjoyable, there are perhaps many visitors who were hassled by the peaks and valleys of these slopes. 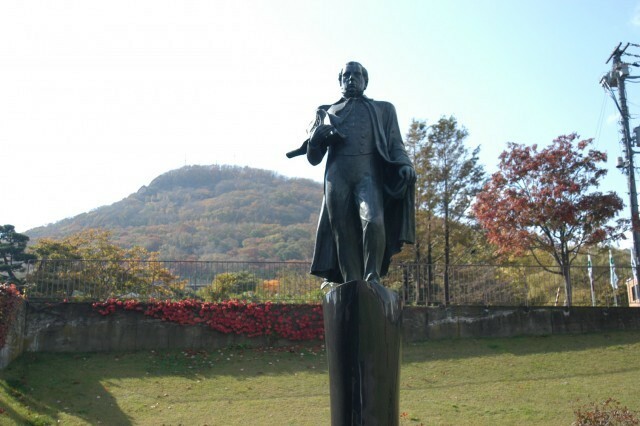 However did you know that such slopes in the Motomachi Ward all have names? Perhaps knowing where their name came from would make your stroll through the neighborhood of Motomachi more fun. On this occasion, we will introduce the origins of three slopes and cafes at which you can rest your weary feet. Once summer in Hakodate is gone, so is the heat; and a pleasant season begins. If you are going to visit Hakodate in autumn, it is a good idea to first go for a walk through the city, which you can expect to be imbued by the colors of the season. The leaves on the trees lining the streets and parks turn a vibrant shade of red. How about a walk through the popular sightseeing areas and the western district? In the western district the Hakodate Orthodox Church is a well-known sight, but actually the area comprises many temples and shrines too that are also worth exploring. 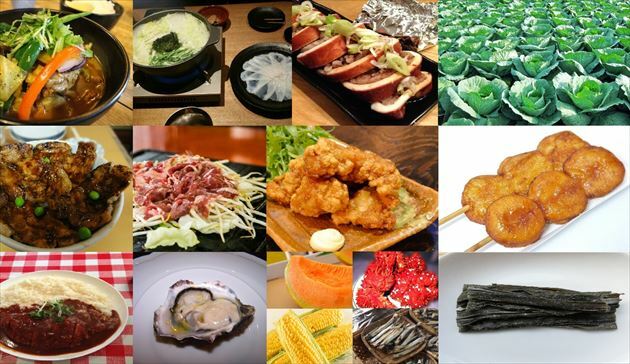 Hakodate is fortunate to be surrounded by seas and mountains that both are sources of an abundance of delicious food. A gourmet event is held during the autumn’s harvest period. In addition, I will also introduce other charms of Hakodate in autumn, describe its climate and given some clothing suggestions. Yes, I think that’s a wish shared by pretty much everyone. It can be very disappointing to travel somewhere without getting the chance to taste some of the local specialties. This is especially true when traveling to Hokkaido, which is nothing short of a gourmet’s treasure trove. Not only are the ingredients produced here topnotch, they also form the basis for many unique local dishes. With that in mind, I will feature here, as a traveling reporter, my favorite 15 Hokkaido delicacies, which I hope you will get to try too! I have selected only dishes which I wholeheartedly recommend as delicacies that you should try at least once, so you might want to hold on to this article for future reference! 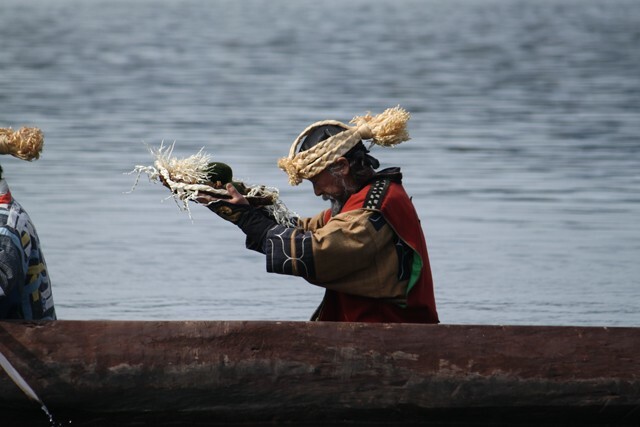 Ainu culture is one of the many things almost everybody encounters when touring in Hokkaido. 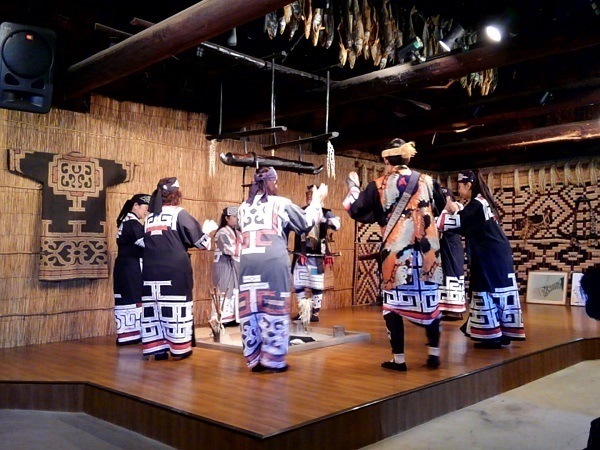 Some of the most well-known spots for experiencing Ainu culture are “Akanko Ainu Kotan” in the Kushiro area, “Nibutani Ainu Culture Museum” in Biratori, and the “Ainu Museum Poroto Kotan” in Shiraoi. Among the three, “Ainu Museum Poroto Kotan” is especially easy to reach, located just a 1 hour drive (or JR train ride) from New Chitose Airport. With more and more people talking about Ainu culture, especially after it featured in a popular comic, this unique culture is definitely something worth experiencing yourself. 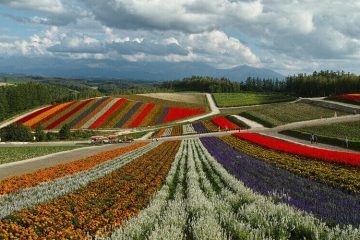 Many people associate Hokkaido with beautiful landscapes and gardens, but Tokachi stands out as an area packed to bursting with gardens that showcase the best of Hokkaido. 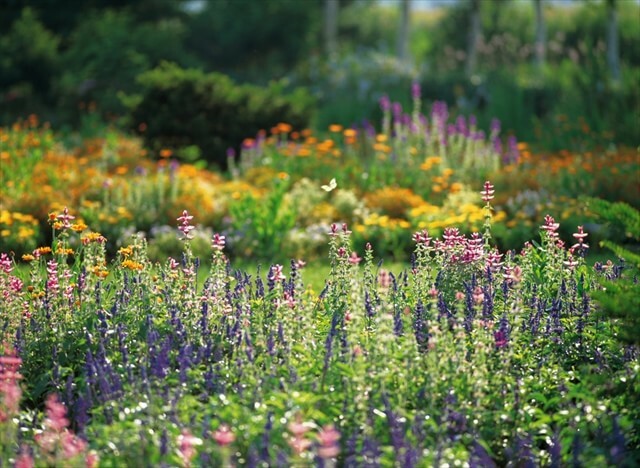 Flower lovers and garden enthusiasts from all around flock to Tokachi every year. And now that the long winter is finally over, spring has also arrived in Tokachi! With the gardens being some way from the city center, a dusting of snow remains, but that snow will melt away before long. As we move into April, staffs at the gardens are busy preparing to open to the public. We’d now like to introduce you to “Shichiku Garden”, famous for having over 2,500 varieties of flowers that bloom throughout the year. 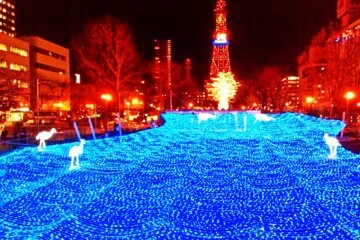 How to fully enjoy the shopping in Sapporo Central Wholesale Market! 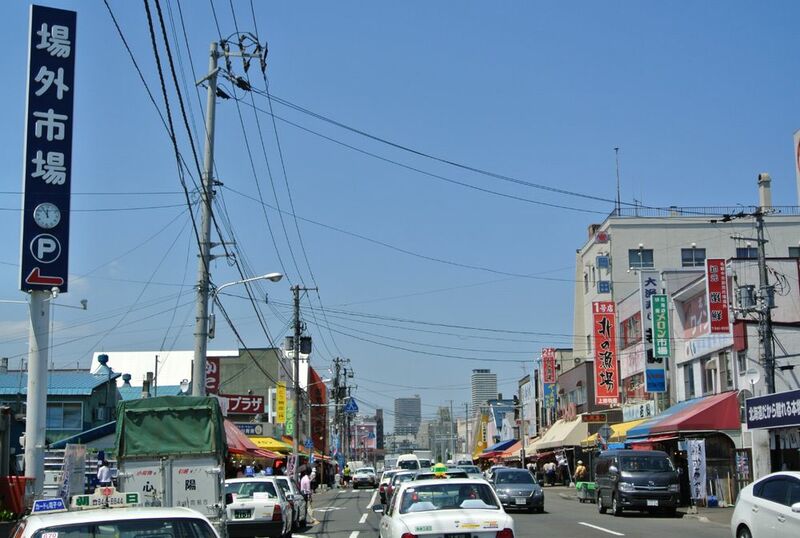 Do you know what Sapporo Outside Market (Jyogai Ichiba) is like? As Sapporo’s kitchen, Outside Market is busy with many customers who come to buy fresh seafood and produce. 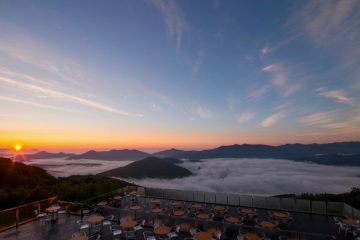 Hokkaido is known for “food;” if you are looking for the freshest ingredients, this place is suitable for these purposes! Here, we list our recommendations at Sapporo Central Wholesale Market and the adjacent Outside Market, popular menu items, and points when shopping. Please do enjoy flavors of Hokkaido at the Central Wholesale Market. There are currently 12 airports in Hokkaido in service with regular flights, but most of you may not know all of 12 airports in Hokkaido. At that time, we’d like to introduce these airports. 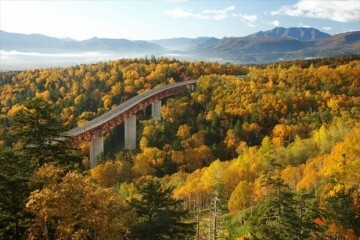 When traveling in Hokkaido, consider flying to various parts of the vast island for a better experience. 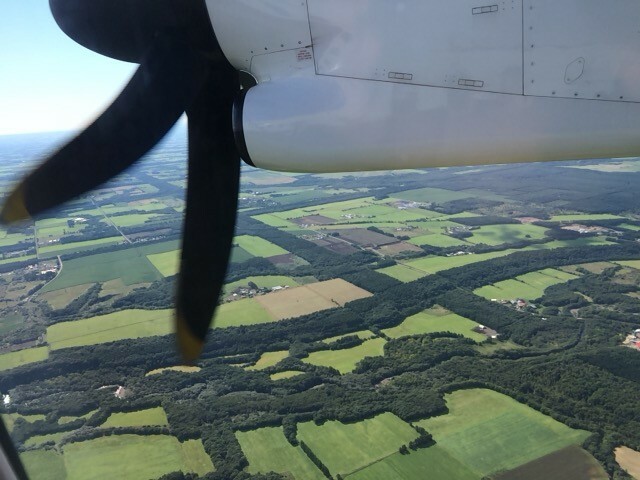 The picture is from an airplane flying the sky of Nakashibetsu. 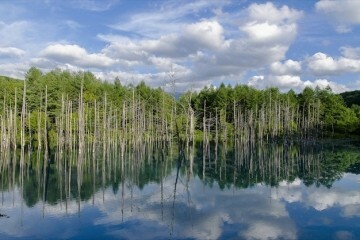 Below is the “Koushijou Boufurin (grid-shaped windbreaker forest), one of Hokkaido’s inheritances and a valued scenery. Doto area (East part of Hokkaido) is known for abundant with nature in Hokkaido. So, there is higher chance of meeting a variety of wild animals. Hokkaido is a wild animal paradise. Even for Hokkaido, the Doto eastern region is especially lush with nature, with a high possibility of meeting a variety of wild animals. If you pay close attention, you can also find many wild animals while driving. Ezo red foxes, Hokkaido sika deer, and raccoon dogs (tanuki) are particularly common, so the driver should be cautious of animals suddenly dashing out! 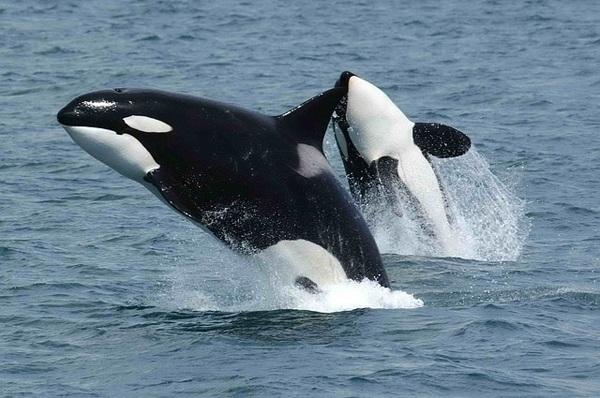 Here we will introduce nine animal species from amongst the wild animals of Hokkaido.